salsa, avocado, and mushrooms (raw). 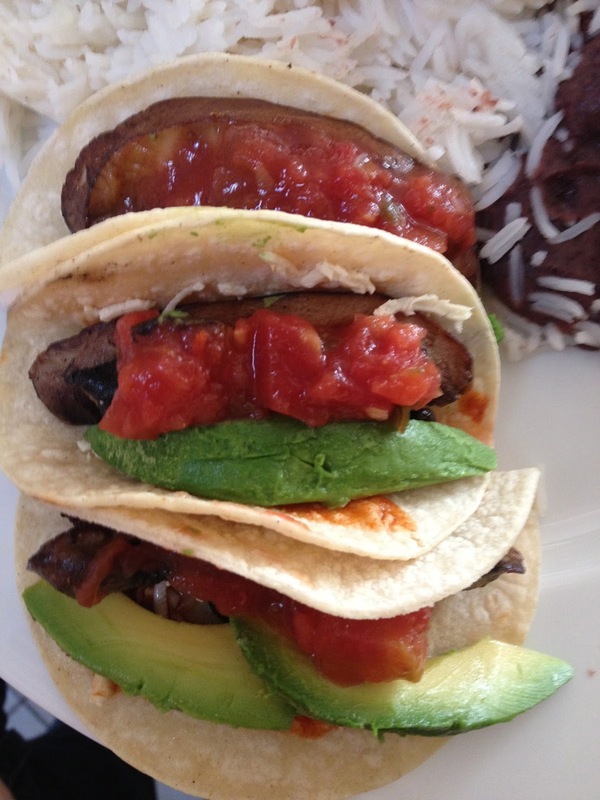 one has beans, one has cheese, the third has both. 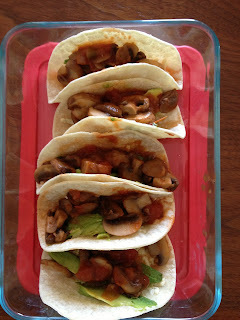 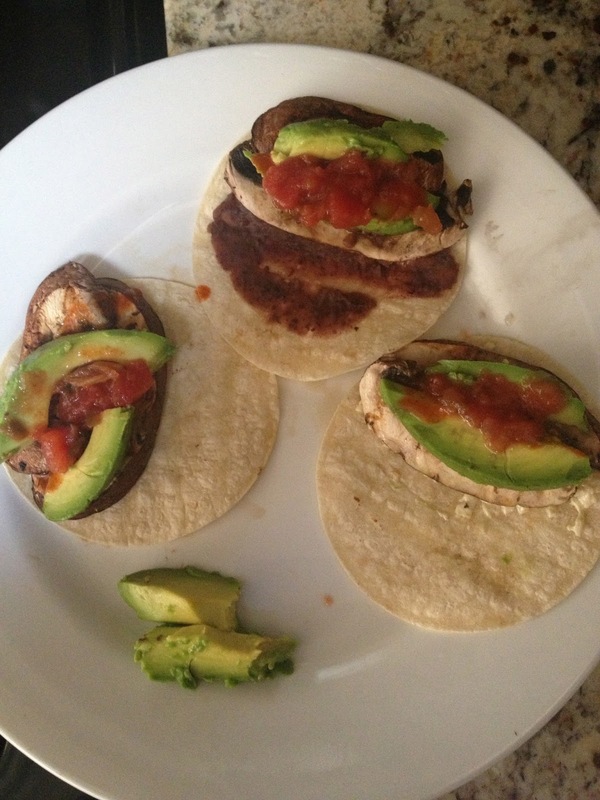 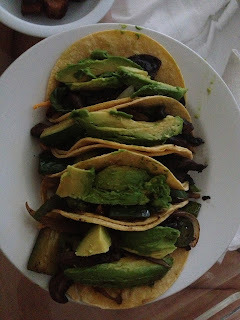 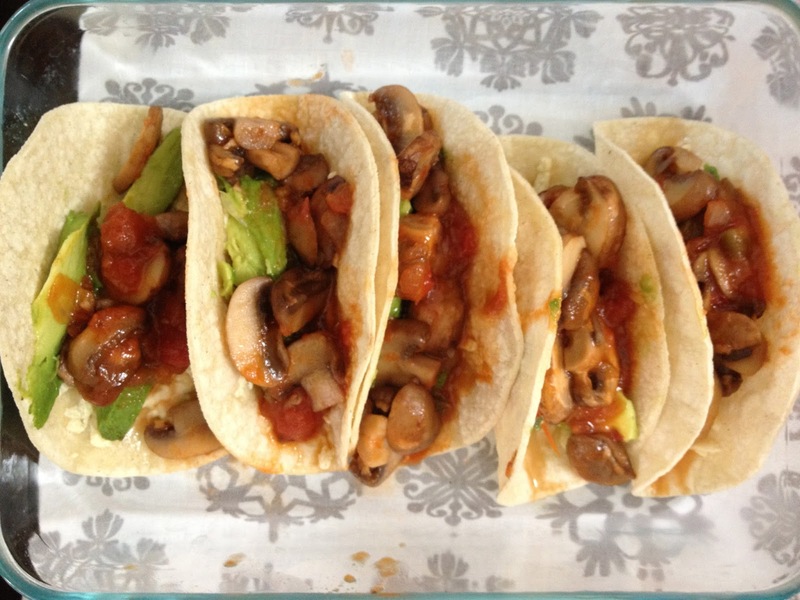 these are the same batch- sauteed crimini mushrooms in salsa and avocados. topped with lime.